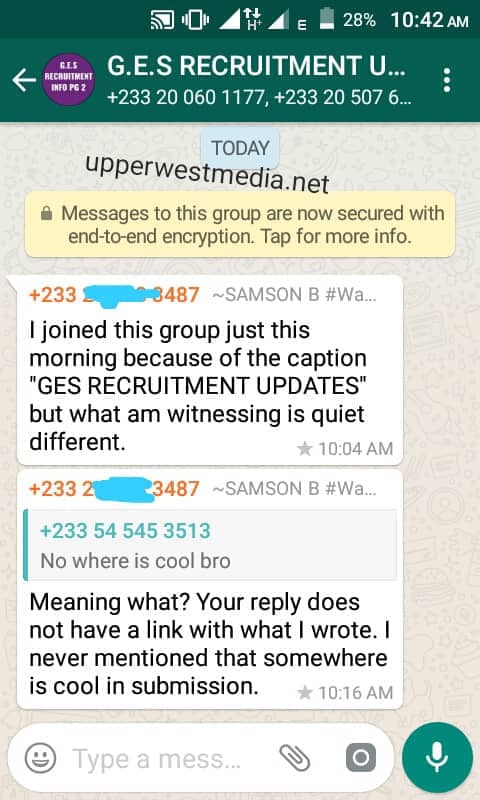 One of Upper West’s most proficient rappers from Takpo in the Upper West Region popularly called Samson Banner or Samson B for Short was spotted in a WhatsApp group purported to be a Ges Recruitment Group Chat Page. The Musician whom we believe have applied to be recruited to Ghana Education service was spotted arguing with members of the group on grounds of they not discussing issues relating to the purpose of the group. Another Group Member feeling Samson B was Comic replied him by Typing ‘No Where is Cool bro’. 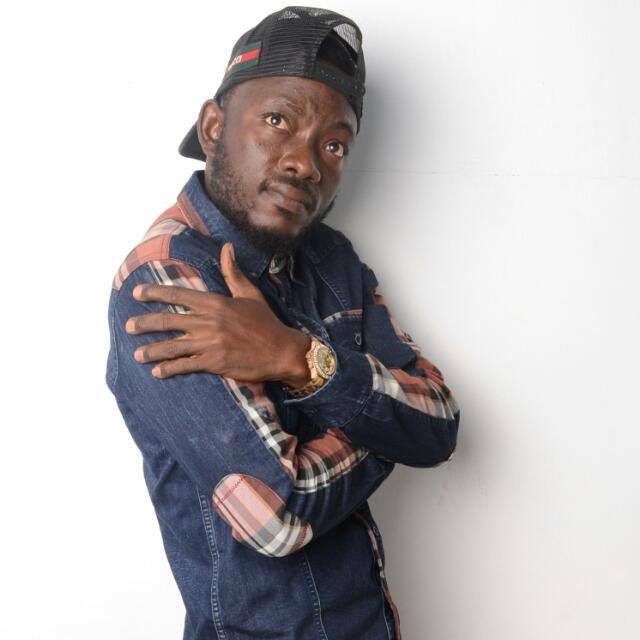 Samson B is a graduate of Central University and is An Upper West Musician, he has released songs like Yuonpaala, Waalege and many more. Samson B has fallen short in the industry and latest of his have not been heard lately, many are thinking is possible he has left music to pursue other courses in life.